This papercraft is very simple, only 1 page of paper. Tumpeng Rice or Nasi Tumpeng is very common in Java though Bali culture, it's a cone shaped yellow rice dish. 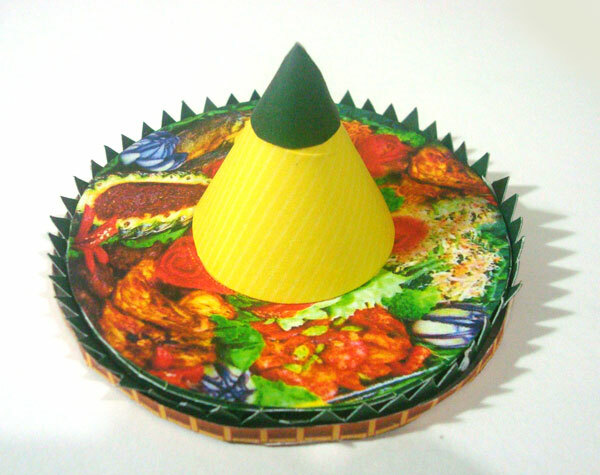 The cone shaped rice erected on tampah (rounded woven bamboo container) covered with banana leaf, and surrounded by assorted of Indonesian dishes. 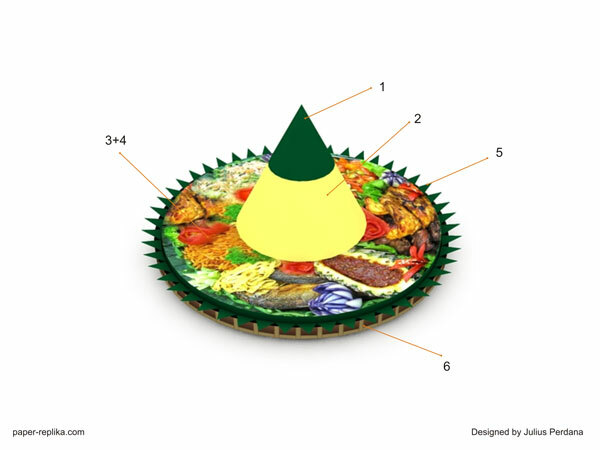 People in Java, Bali and Madura usually make Nasi Tumpeng to celebrate important event or a gratefulness symbol.